We’re all faced with the decision. When you’re sick, have you ever rummaged through the medicine cabinet and discovered an old prescription? Perhaps you wanted to wear your extra special makeup and discovered the expiration date has passed. Or perhaps you came back from out-of-town, and reached into the refrigerator to cook your favorite meat and discovered it’s a few days past the expiration date. No lectures today. Let’s engage in some straight talk and answer the questions you have. 1. Why do foods have an expiration date? 2. Why do some stores sell foods beyond their expiration date? Because they can. The U.S. Food and Drug Administration (FDA) does not require the coordination of expiration dates with assertions of safety (or lack of safety). 3. 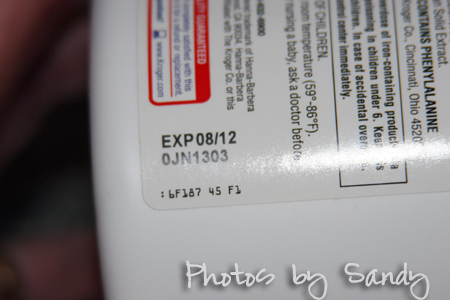 So is it safe or not safe to eat foods beyond their expiration date? This is where things get tricky. The problem with “bad food” is contamination to the extent where sufficient bacteria are present to cause an infection. An expiration date is only a rough measure of that. If you leave food unrefrigerated or exposed to heat, it will go bad well before the expiration date. Even after the expiration date, sufficient bacteria may or may not be present to cause problems, but it becomes more likely as time passes. 4. Are there different considerations for different foods? Use this list as a quick reference. Countertop food (e.g., bakery goods containing custards, meat, vegetables, or frostings made of cream cheese, whipped cream, or eggs) should be kept refrigerated. Others not containing these (e.g., breads, muffins) can be kept at room temperature for a few days, but watch for mold that will develop over time. Unprocessed pantry foods (e.g., cereal, dry beans, grains, mixes, nuts and pastas) should be good up to a year if unopened. Once opened they must be stored in air-tight containers. Processed pantry foods (e.g., canned foods, cake mixes, crackers, dried foods) are safe until opened. Discard cans that are cracked, bulging or squirt liquid when opened. 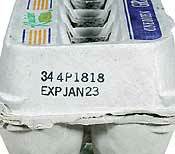 Refrigerated foods (e.g., milk, chicken) may have both sell-by and use-by dates. Although generally safe to eat after both dates, the risk of problems is higher, so check for odor, discoloration or a bad flavor. Freezer foods, according to the FDA, are safe indefinitely as long as they haven’t partially thawed. In this example, the sell-by and use-by dates apply to quality and retained nutritional value. For best results, if you’re going to freeze, do so early. 5. So cosmetics expire? I’ve never noticed an expiration date. The FDA doesn’t require cosmetic manufacturers to print expiration dates on the labels of cosmetic products, but they do have the responsibility to determine shelf life for products, as part of their responsibility to substantiate product safety. The issue isn’t “expiration” as much as increasing risk for infections (of the eyes in particular). 6. 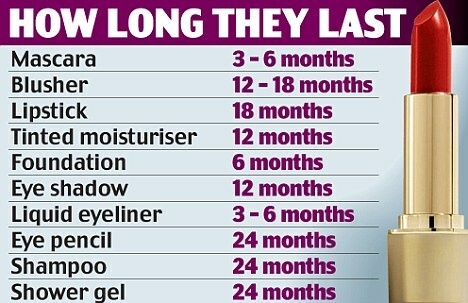 For how long can I safely use cosmetics? Manufacturers usually recommend discarding mascara two to six months after purchase. If mascara becomes dry, discard it. Do not attempt to prolong its usefulness by adding water or saliva. Doing so will introduce bacteria into the product and onto your eyes when applied. If you have an eye infection, stop using all eye-area cosmetics and discard those you were using when the infection occurred. Seek medical attention. “All-natural” (i.e., plant-derived cosmetics) are more likely to have a shorter shelf life and to be conducive to bacterial growth with subsequent infection. Poorly stored (e.g., exposed to high temperatures, previously opened) cosmetics may deteriorate before the expiration date. Conversely, those stored under optimal conditions may be acceptable long after the expiration date has been reached. Sharing makeup increases the risk of contamination. A good example of this are the “testers” commonly found at department store cosmetic counters. If you feel you must test a cosmetic before purchasing it, apply it with a new, unused applicator, such as a fresh cotton swab. 7. 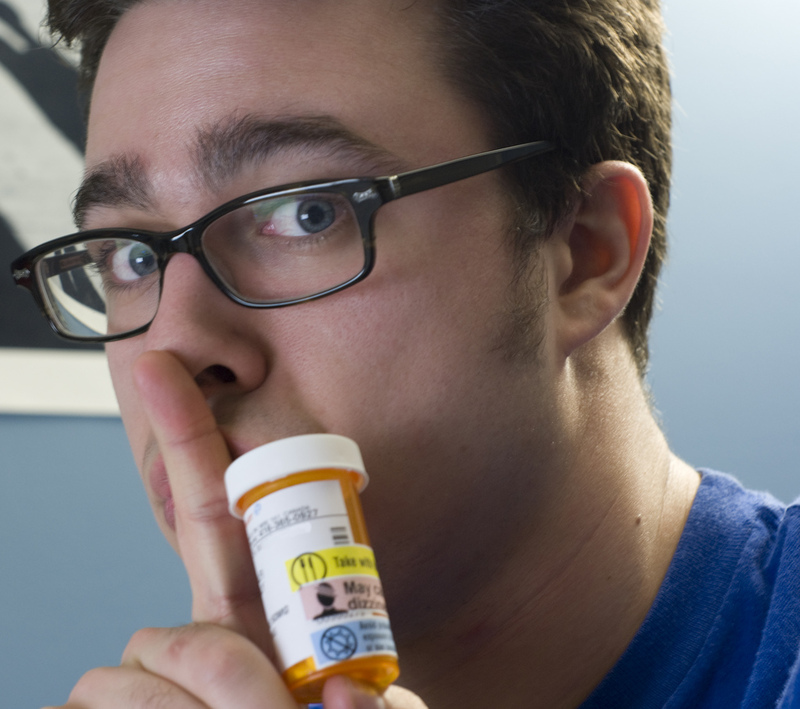 What happens after a medication expiration date? When it comes to antibiotics, I hope you never find out. You should always take your medications as prescribed, which generally means until all pills are gone. The medication date actually is more of a “freshness” (actually, safety and potency) consideration than a danger warning. However, in the wrong patient, a medicine that has less than the 100% guarantee of its needed strength, as the expiration date represents, could have fatal results. The expiration date doesn’t really indicate a point at which the medication is no longer effective or has become unsafe to use, with significant exceptions (e.g., tetracycline, nitroglycerin, insulin, and liquid antibiotics).